Manila, Philippines - Two months after pop superstar Justin Bieber visited storm-hit Visayas region, former LA Galaxy player and British football star David Beckham on Thursday, February 13, 2014 has set foot in Tacloban City with the mission to give relief efforts to Yolanda survivors. Reports said that David arrived in Manila at around 11AM. He arrived at the Tacloban Convention Center around 1:40 p.m. He came with UNICEF (United Nations Children’s Fund), the same humanitarian organization that brought Bieber to the Philippines. Both international celebrities are goodwill ambassadors of UNICEF. David is fulfilling his role since 2005. 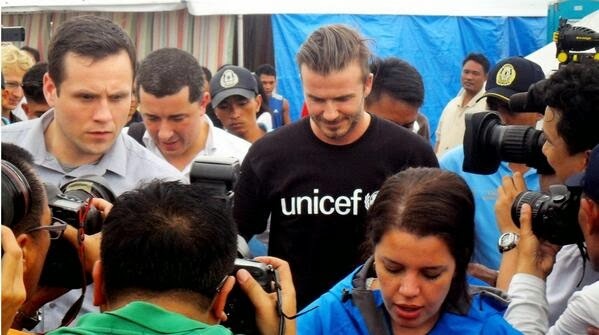 Zafrin Chowdhury, spokeswoman for the UNICEF office in Manila, said Beckham was touched by the typhoon's impact that's why he wanted to meet displaced children and their families. Typhoon Yolanda displaced more than 4 million in more than 40 provinces in the central Philippines. At least 1,700 are still missing. The British athlete visited the country for the 2nd time; his first was last 2011 when his football team LA Galaxy played a match against Philippine Azkals. Unknown to some though, David took time off from a farewell tour with his football team LA Galaxy as he made a surprise visit to UNICEF-supported children's shelter in Manila. His arrival today meant missing Valentine’s Day celebration with his wife, the former Spice Girls member turned fashion designer, Victoria Beckham. According to reports, Victoria and David also held an auction of their famous outfits and donated the cash for the cause as they appealed last November for people to donate to those who survived the biggest typhoon to hit land. 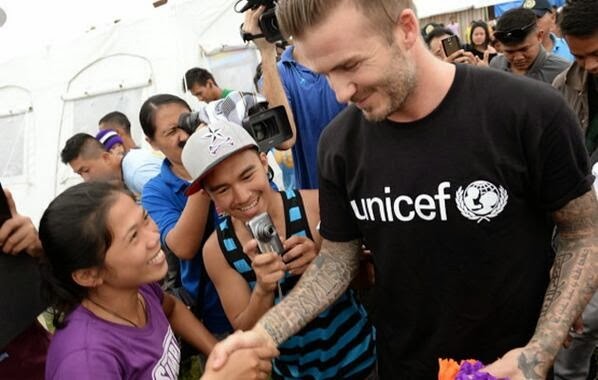 David Beckham's visit in the country became memorable and won the hearts of the Filipinos this Valentine’s Day. 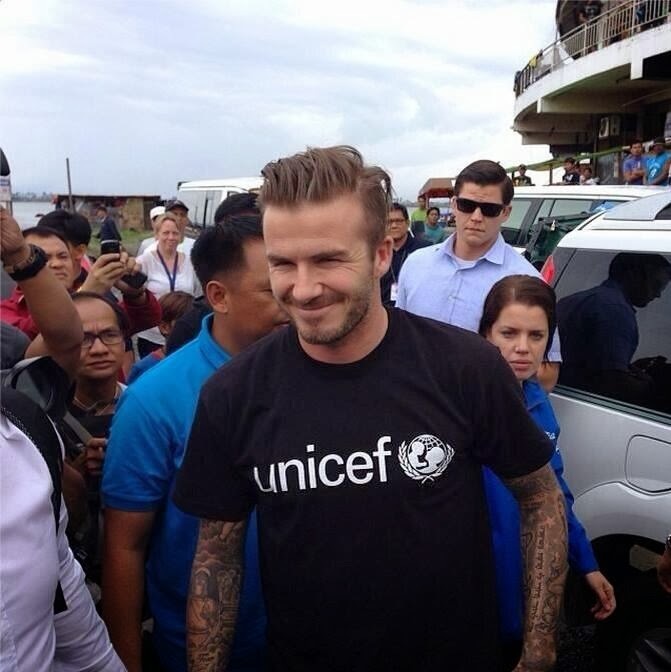 “David Beckham” was on the Twitter Philippines’ trends list as the nation showed him their appreciation and gratitude.